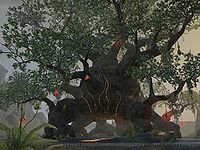 The Hatching Pools are located in central Shadowfen. 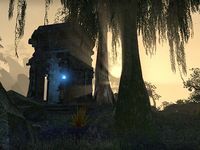 Argonian eggs are tended to and hatched here, beneath the great Hist tree. The settlement has been taken over by the Aldmeri Dominion. Hatching Pools Objective: Determine the Dominion's purpose in Hatching Pools. The Shattered Staff : Track down four pieces of the Staff of Towers. Hatching Pools Wayshrine is located south of the pools. This page was last modified on 19 November 2018, at 05:46.